Tata H5X confirmed as Harrier SUV in 2019; what about the 45X concept? Tata Motors unveiled futuristic H5X and 45X concepts at the Auto Expo 2018. The company revealed the plan and launch date of H5X based SUV. Emerging reports also shed some light on the 45X. Tata Motors had one of the largest pavilions at the Auto Expo 2018 held in February. The H5X and 45X concept of Tata were showstoppers at the Indian biennial auto show. Tata Motors revealed the future of H5X recently and it will be launched as a 5-seater SUV in early 2019 with the production name Harrier. Since Tata Motors cleared the air over the future of H5X concept the next question is about the 45X concept. The 45X in the production avatar will be a premium hatchback while there was no clarity over the production-spec version and launch date. A report in the Economic times now confirms, the 45X will be launched as a rival to Maruti Suzuki Baleno and Honda Jazz during the festive season of 2019. Ahead of the 45X concept based hatchback, Tata Motors will bring the seven-seater version of the H5X-based SUV as well. Both the vehicles are expected to get separate production name. Tata 45X - what to expect? 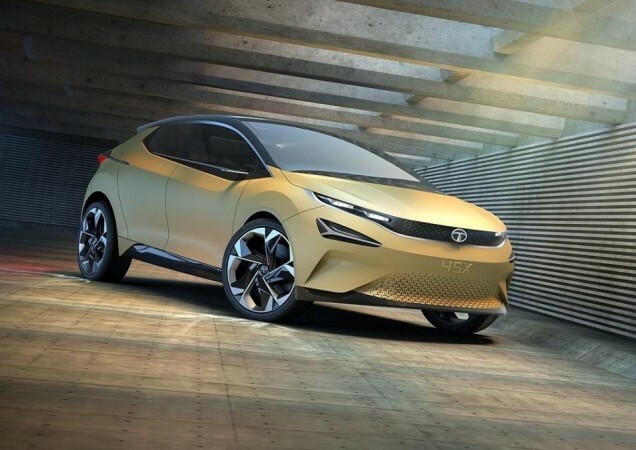 The production version of the 45X concept will be the first car built on Tata Motors' new and advanced AMP platform. It will also bear new Impact Design 2.0 design language. The 45X concept has a sporty silhouette and aerodynamic lines. Signature humanity line, slim dual-LED headlamps, lower grill setup gives the front of the 45X a sleek stance. At the rear, slingshot line design is amplified by a chrome finisher. Surfboard mounted wing cameras and dual-tone body flanked by full LED tail lamps are other notable elements in the 45X. Complementing the contemporary and sleek stance of the exterior, the interior of the 45X gets a modern dashboard finished in plastic, wood and leather. The multi-layered dashboard houses a large touchscreen. The rectangular steering wheel with top-cut (like aircraft joystick) and paddle shifters look cool, however, the practicality remains a question. As the concept is fully automatic, there is no floor-mounted transmission lever and centre console, which frees up a lot more leg space for the front row passenger. 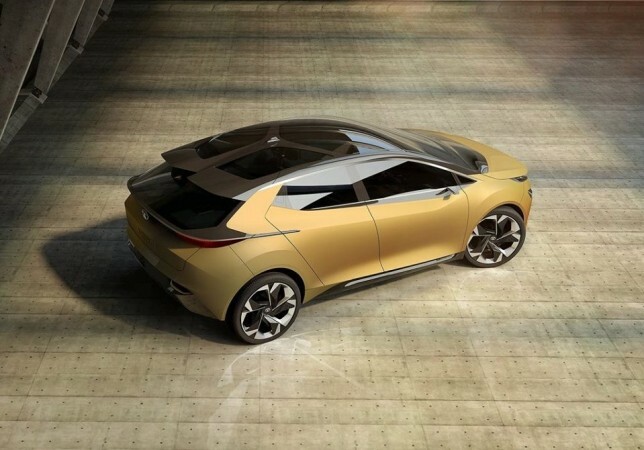 Though the concept looks expressive and sleek, the production version is expected to feature a toned-down design.